Steffan’s initial training took place at the Aveda institute in Chapel Hill, North Carolina in 2007. 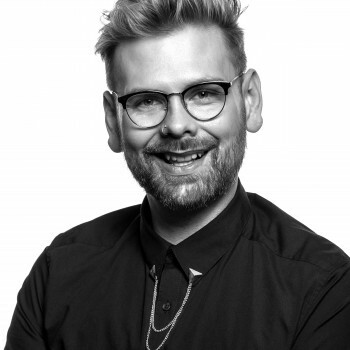 While at the institute, Steffan furthered his education by working with Scott J Salon in New York City, which recruited him to be a colorist and stylist for the Aveda Earth Month Fashion Show. In 2008, Steffan moved to Austin, Texas and started working with Avant Salon, where he completed Avant’s nationally recognized Advanced Color Training. Since 2008, he has been highly active in the Austin fashion scene. Steffan has produced multiple shows benefiting nonprofit organizations, participated in countless other shows, and has been published in six different magazines. In 2010, Steffan was nominated for the Austin Fashion Week Teams Award. In 2011, he began working with Garbo A Salon & Spa, where he is the Color & Creative Director. In 2012, Steffan became an Aveda Certified Color Educator. In this role, he travels the world inspiring minds and teaching the fundamentals of Aveda Hair Color.